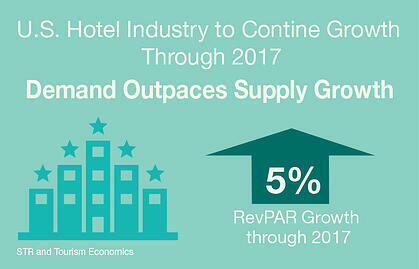 Good times for hoteliers: Occupancy is at an all-time high, room rates continue to climb, and demand growth is expected to outpace supply growth through 2017. But have no fear, meeting planners! These tips below will help you negotiate killer deals – even in a seller’s market. Hotel salespeople love to compete for your business. Even in the best of times, they still have a quota to meet. But most meeting planners forget about the value of competition when they're searching for a hotel for their meetings. You have the power to get sales managers’ competitive juices flowing, leading to faster responses and better deals. To create competition, you’ll obviously need more than one hotel in the mix. On the other hand, sending your meeting RFP to 15 or 20 hotels tells the sales people they don’t have a shot at booking this meeting. Keep the number of hotels down to 6 - 8 and you’ll get hotel sales people to stand up and take notice. This is a big motivator for salespeople: Less competition means a higher chance to close, which means they’ll drop everything to respond to this lead. Believe it or not, knowing their competition motivates salespeople in meaningful way. This information will enable them to put together an awesome proposal that focuses on their hotel’s strengths, along with an offer they think will outbid the competition. Introducing a new date on your RFP: Your short list date. The short list date isn’t your decision date; it’s simply the date when you’ll tell the hotels whether they’re still in the hunt. Adding the step of short-listing your hotel choices will tap into your hotel salesperson’s inner competitor and will drive faster, more comprehensive hotel proposals – and some very good deals. The next time you send a meeting request to hotels, do these two things to get better bids. 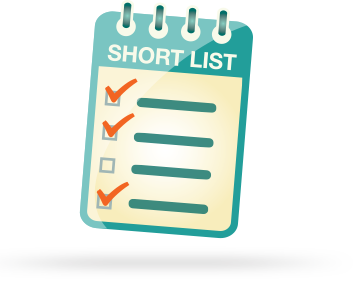 Make your short list date close to the date you sent the original RFP. You should need no more than a 3 – 5 days to review the proposals, and then pick the ones that jump out at you. Or, think about it as eliminating the proposals that you know won't work for your meeting. Why does this work? It keeps the sales manager engaged and eager to bid aggressively in order to make the short list. You also eliminate extra work for yourself by focusing on just those hotels that are right for your meeting. And remember, negotiations don’t stop when you select your short list – in fact, that’s when they begin. Once on the short list, salespeople will dig deep to earn your business. That means they’ll be amenable to many requests that may not have been offered prior to being short-listed. Zentila automates these strategies for you. They're built right into the booking path at Zentila.com. Our super-intuitive booking solution will guide you through the process of selecting and booking the perfect hotel. Our customer success gurus are there every step of the way to ensure you get great deals. 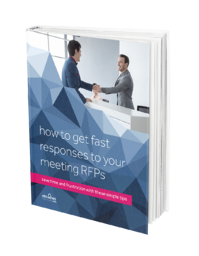 Download our free guide: Great Hotel Meeting RFPs. These 8 simple tips can help you improve hotel response time, get complete bids and secure great deals from hotels every time.